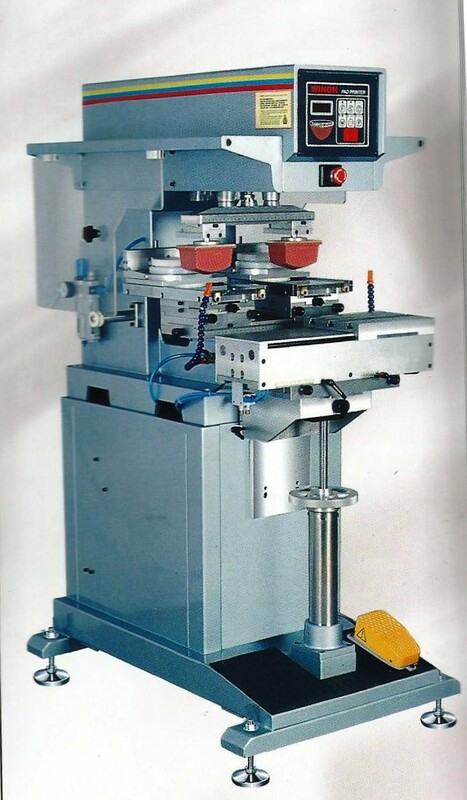 Machine of this series adopts Ink-saving inkcup, PlC control, independent pad up/down stroke and speed adjustable, cliché position adjustable, shuttle worktable or rotary worktable. Famous for their characteristics like two-color registration precision, high printing efficiency and easy operation, they can be widely applied to print electronic products, home appliances. hardware, plastics, toys and stationery, etc, satisfying various high-quality printing requirements. Housed by cast aluminum alloy. 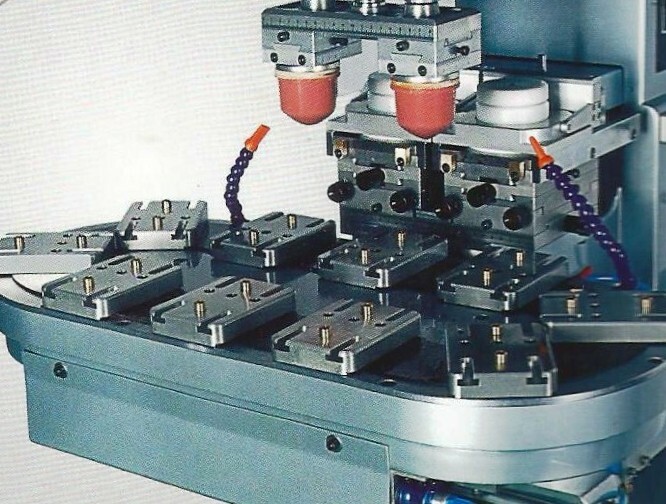 It’s solid and durable; precise slide rail and creative design guarantee two-color registration precision; 10-station worktable is powered by advanced components. 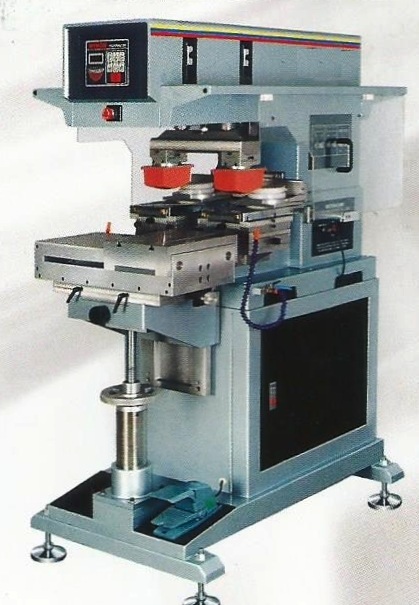 The special conveying system and shock absorber guarantee machine’s high speed and stableness.